Spot the way from the heights of Machu Picchu to the busy streets of Tokyo. Who will reach Niagara Falls first? In Wayspotting you compete to win the world travel game. Crisscross the world and collect as many tokens as you can. In every turn, you can choose between six low cost, last-minute flight cards to reach another exotic destination. The colours of each card must match perfectly with the routes on the map. There is a bonus waiting for players who manage to collect four destination tokens from the same category. 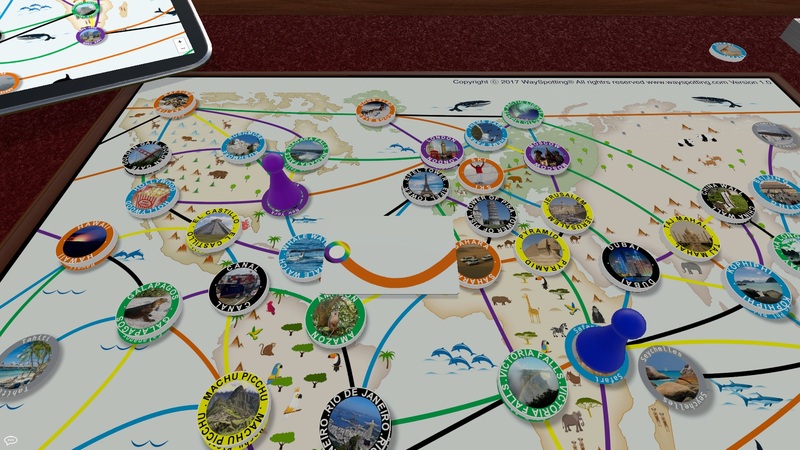 WaySpotting is a new generation of travel-themed board games designed from the ground up for children and families. Educational: Fun and exciting way to learn about our world by experience, kids will get lessons in decision-making, consequences, and strategic thinking. Enjoy the way and the beautiful design! 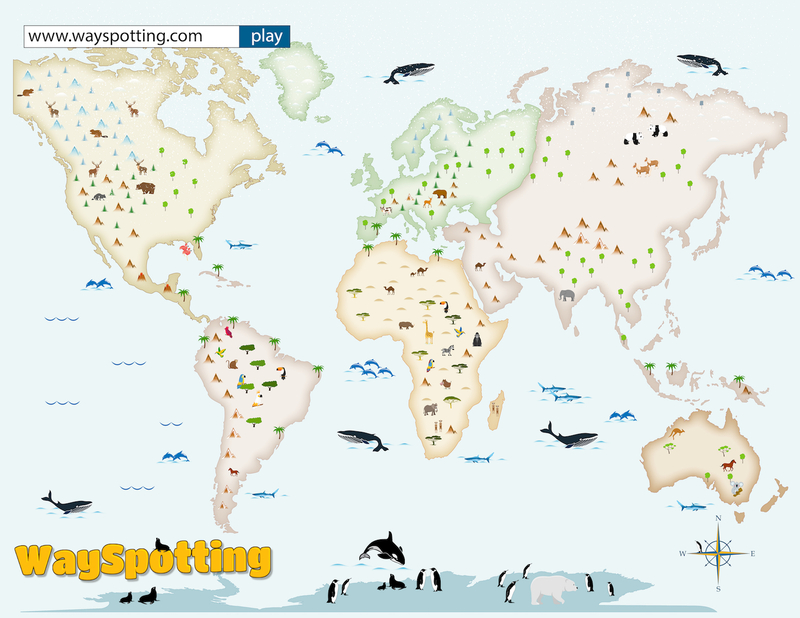 Become the best way spotter by collecting as many destination tokens from the same category. The game ends when there are no more destinations to visit. We would like to thank the Pixabay community and Wikimedia Commons, for sharing their wonderful images with us.